Generally mid-length haircuts are considered as comfy and flexible cuts as they give as many hair styling ideas. Among trendy medium haircuts lob hairstyle has its special place. You can choose it for your thick straight hair and get a classy look. 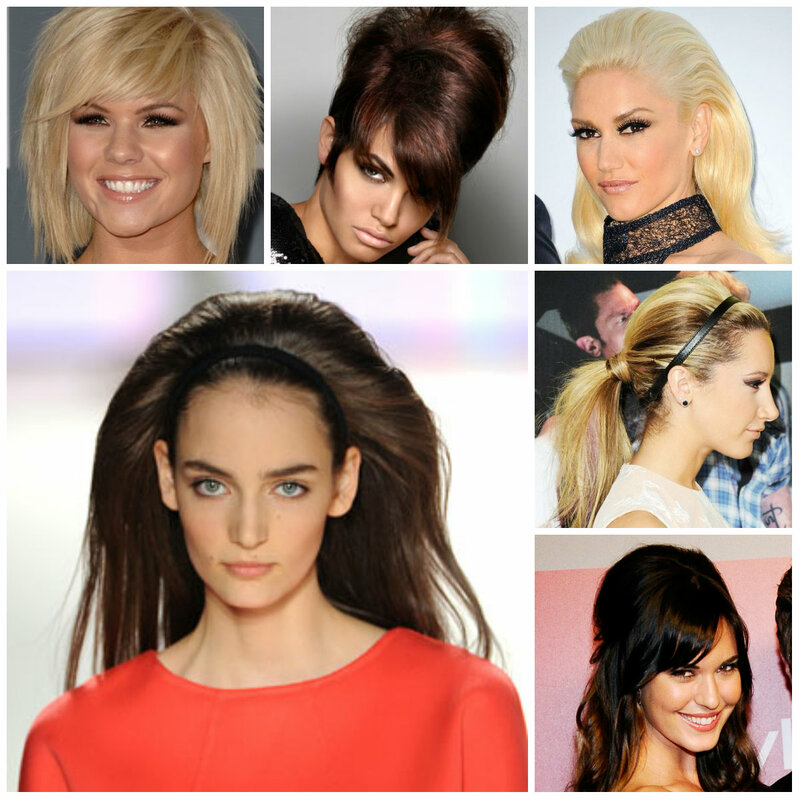 It allows you to go for cute center or side parted hairstyles. 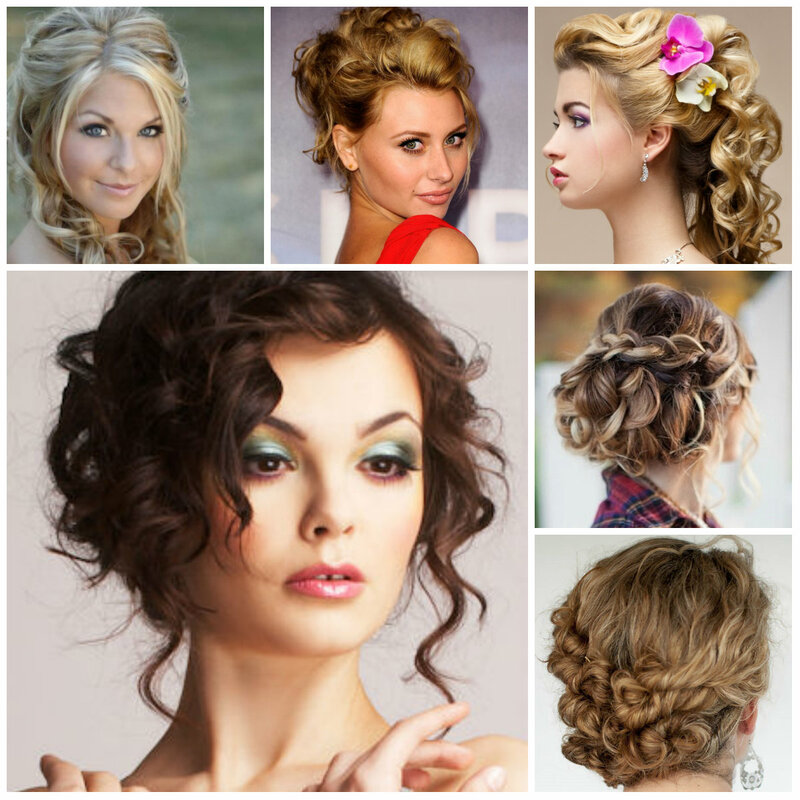 Loose updos are very ravishing and seductive. They have a sophisticated touch especially when you curl or make a bit messy. Be it naturally curly or just curled you are welcome to create a stunning loose updo on the back part with bobby pins. This hairstyle looks better with face framing curls which come to highlight the prettiness of your lovely face. Sleek, straight and center parted long hairstyles are very elegant and neat both for everyday life and for special occasions. This hairdo highlights the shine of your hair color and makes you sparkle all day long. It is girlish and very seductive especially in the trendy center parted style. Try to keep your haircut fresh and healthy before going for the super straight style. Vintage finger waves are big trends in the fashion world and they are ideal especially for short hair when you want to make it look gorgeous and eye-catching. Finger waves are smooth and very shiny. They can be achieved even on short pixie cuts which have a boyish touch in them. 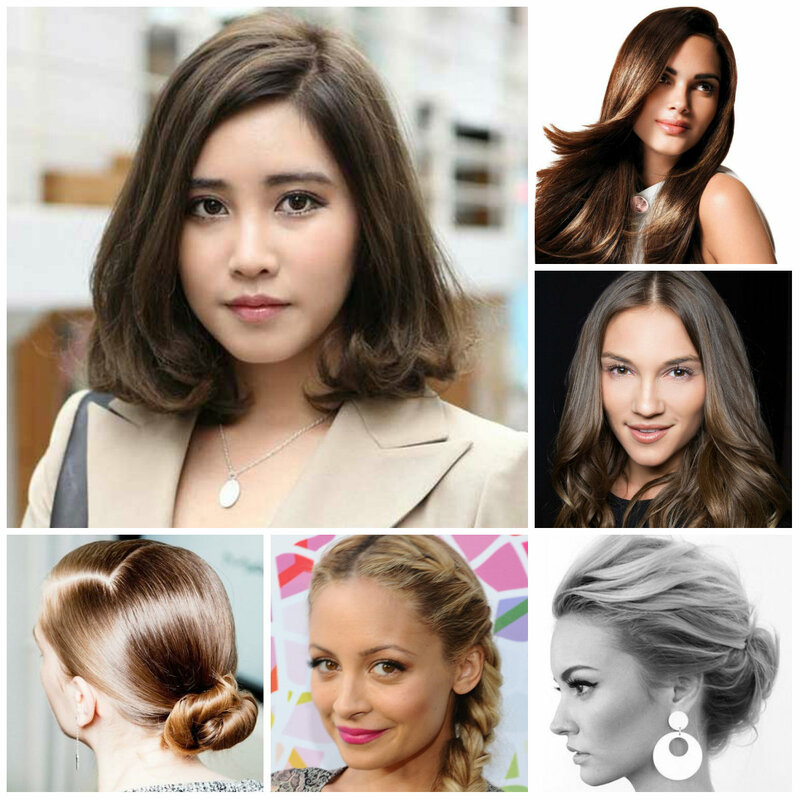 If you like you can wear this hairstyle with classy and elegant outfits. 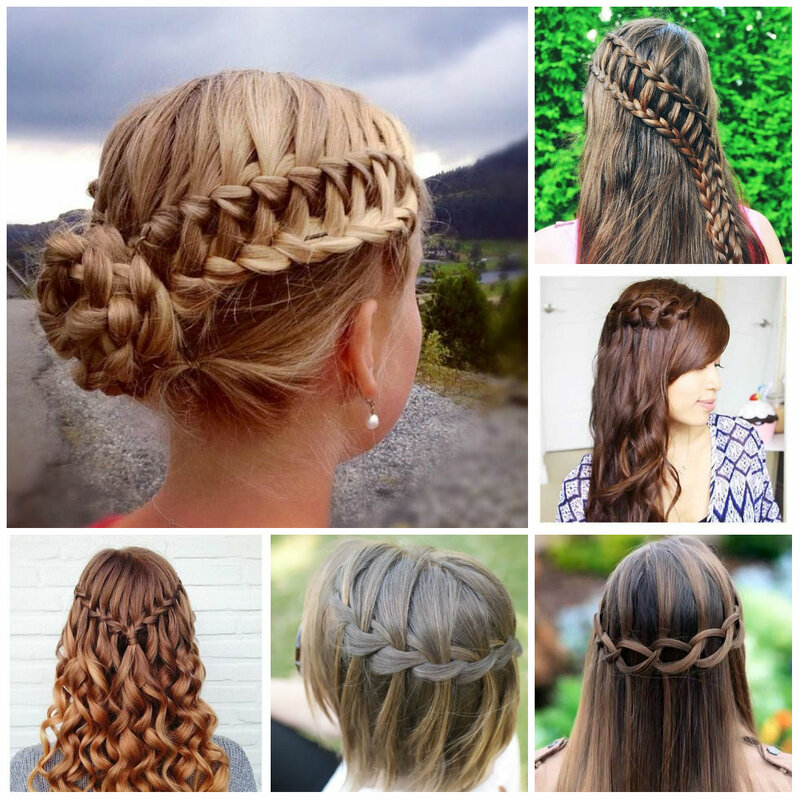 Use the trendy knotting technique to get the stylish knotted waterfall braid hairstyle. Knotting hair is sometimes easier than braiding. So, if you don’t have good hair braiding skills you may sue your knotting skills instead. This is a lovely casual hairstyle but if you like you can wear for some cool parties as well. 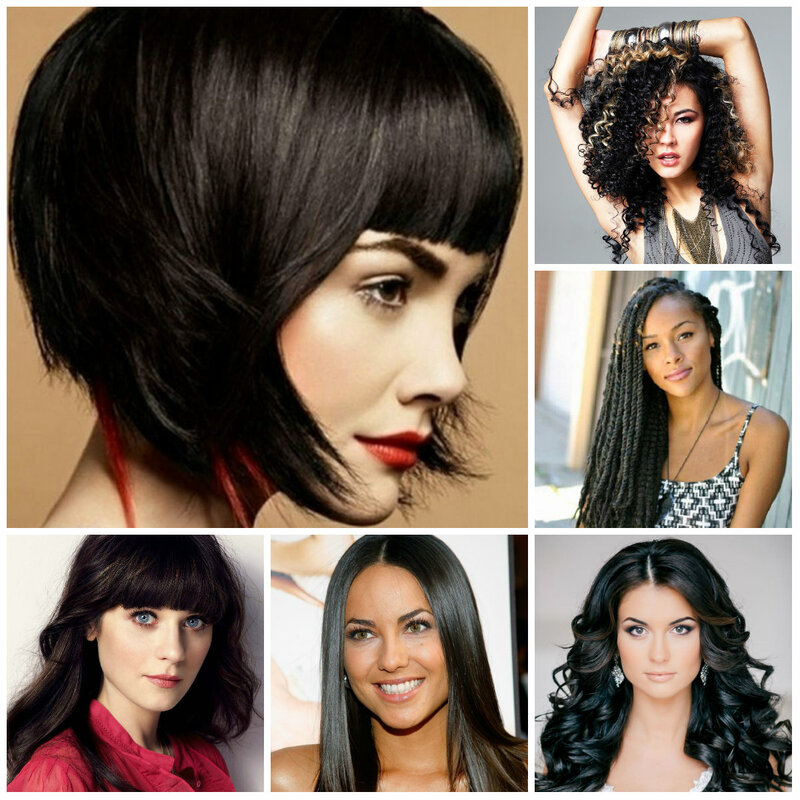 I love the way short straight bangs showcase their beauty with long hairstyles. They are chic and never annoy you. These bangs are comfy for ladies who like to cover their forehead but escape the styles which hide their eyes. You can opt for this bang haircut and go for a messy and wavy hairstyle. Long hair looks very pretty and luxurious in teased styles. If you have long straight hair you may opt for this hairdo and then beautify it with a nice headband. The majority of long teased hairstyles are combined with simple headbands which make the look neater and keep front strands out of the face. In order to achieve this hairdo you need to tease the crown part of your hair with sides and spray hair spray. Then comb all back gently keeping the created voluminous effect. After this wear the headband to fix the hairstyle. Say goodbye to your dull and simple ponytails and opt for more creative ideas. Here you see a lovely double knotted ponytail which looks very pretty. In order to achieve it on your medium or long hair you need to rub hair gel or cream from the middle part to the tips. Then section your locks and knot a double pony. It’s easy, quick and sassy. 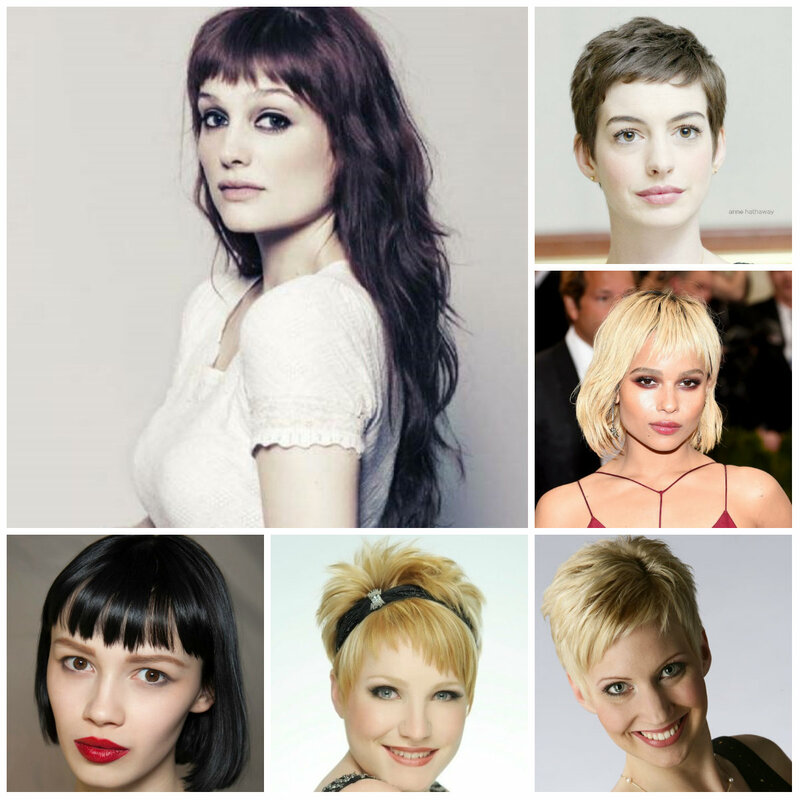 It is more than obvious that pixie haircuts spotlight the face and bring out facial features. However they also tend to bring a boyish touch. So, break down the masculine touch of your short haircut with soft hair colors and short side bangs. They are so cute with pixie haircuts. 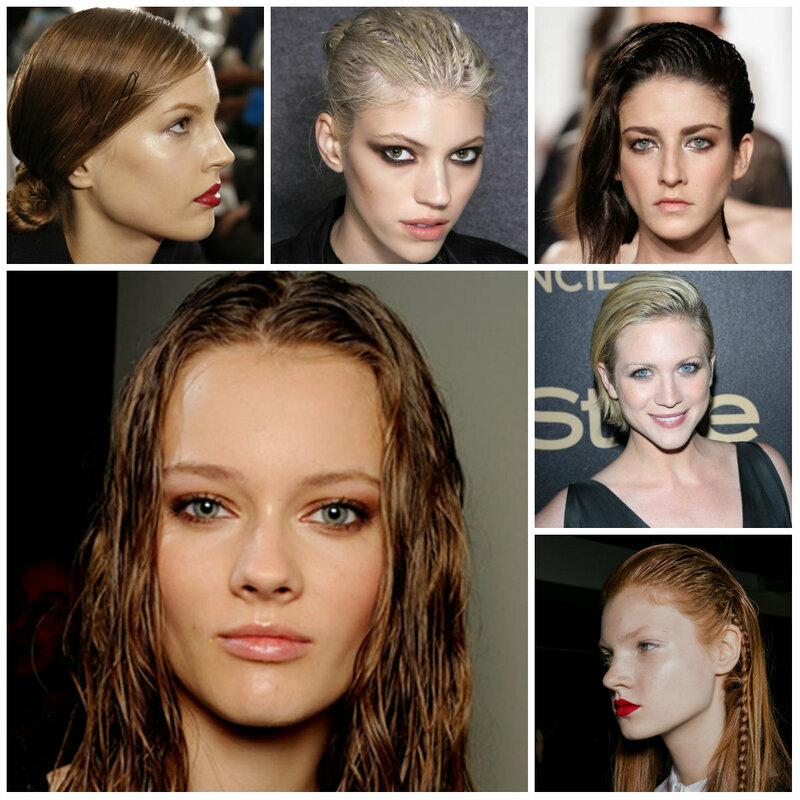 In order to keep control under your frizzy and unruly curls you can opt for the lovely wet-looking hairstyles. Apply tons of hair gel, wax, cream or any other hair product which goes with your hair type and create this cool effect with the help of your fingers. Rub all from the roots to the ends and then leave it the way it is. Women who have straight and thick hair can do the same with their locks but should work a bit hard to achieve the wavy effect.